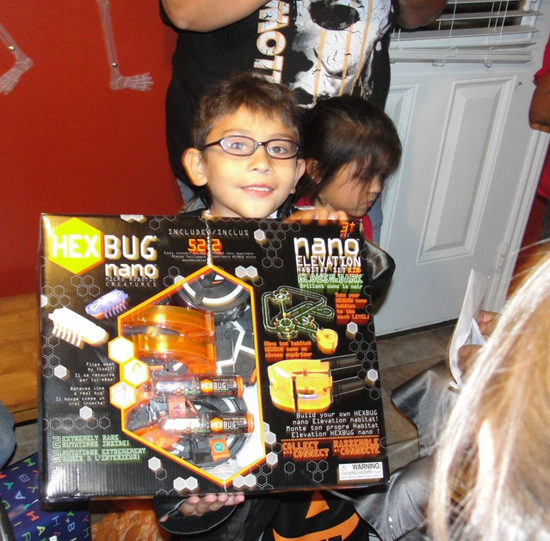 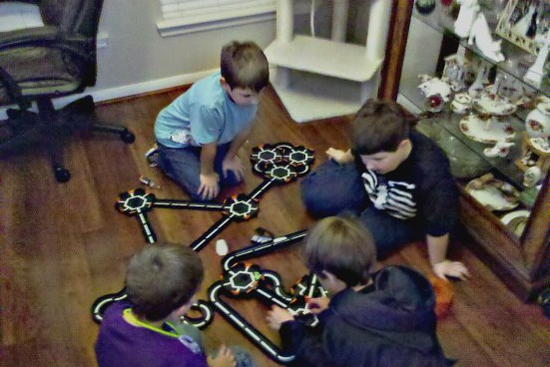 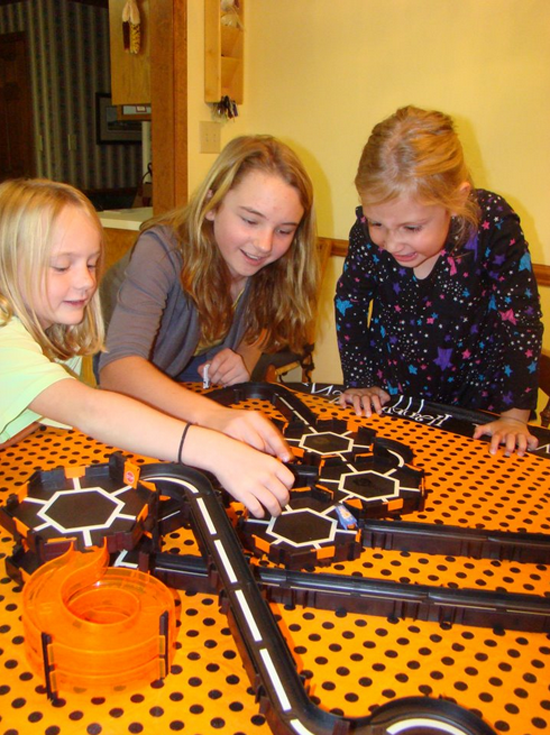 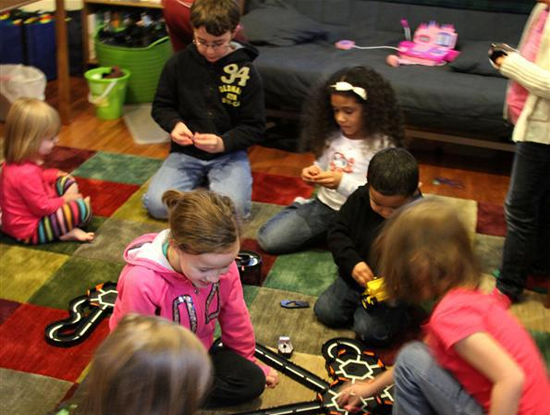 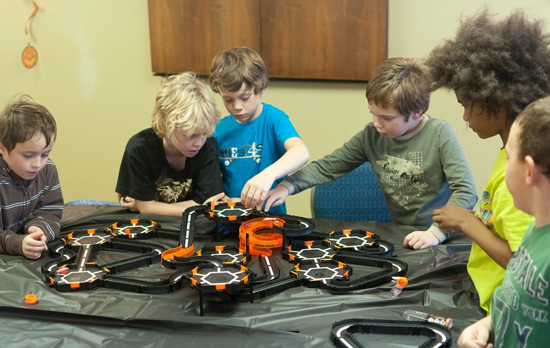 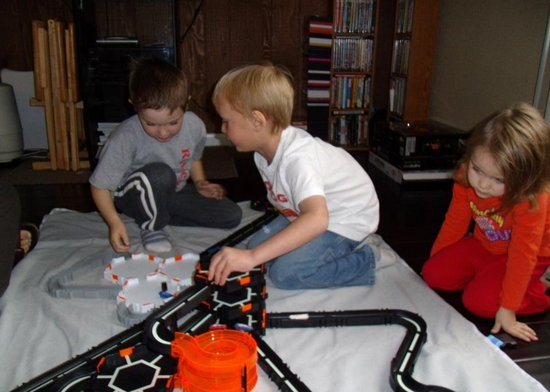 MommyParties recently engaged with Innovation First, the company behind the popular robotic HEXBUG toys, to help create buzz around their limited-edition Halloween offerings- the HEXBUG Halloween Zombie and the Glow in the Dark HEXBUG Nano. 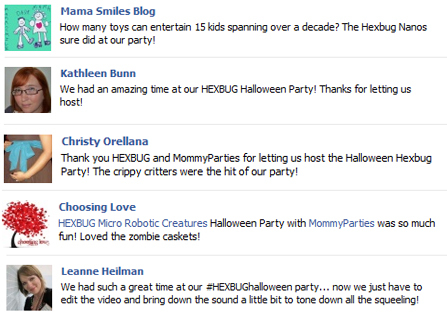 In the weeks leading up to Halloween, houses across the country were crawling with these creepy critters. 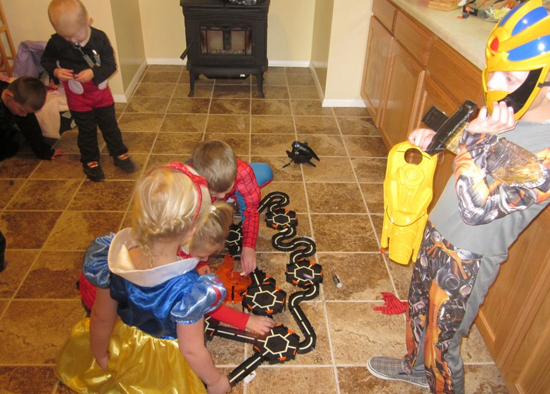 Moms and dads went all out for the party, whipping up MommyParties suggested recipes like Zombie Punch and Mummy Dogs, and the results were hauntingly spooktacular.